Kenyon was the writer who really got me into paranormal romance and completely revamped (pun intended) my reading habits. I picked up Dark Side of the Moon at CVS while waiting for a prescription and was instantly hooked. But that was four years and twelve books ago. 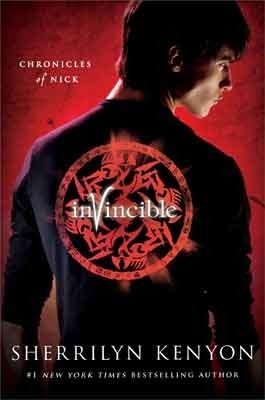 It's been tough since the long-awaited Bad Moon Rising, but Invincible really put the final nail in the coffin once I realized that, while the story was interesting, I wasn't at all emotionally invested in the characters. I will be reading her other series, such as her science fiction romance and the Belador urban fantasy books. For now, though, I really need to take a break from anything remotely Dark Hunter-related and move on to something new.